Sometimes referred to as the “Russian Humvee”, this high-mobility multi-purpose vehicle fills an important niche in the military. 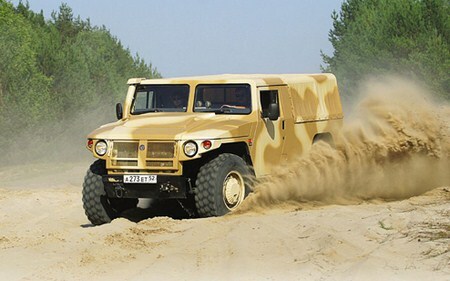 The GAZ 2975 “Tiger” or TIGR is fast, flexible and relatively comfortable when compared to larger armored trucks. It can cross rivers up to 1.2 meters deep and climb dunes at extreme angles. Compared to most of the vehicles in the modern Russian army, the Tiger actually looks modern. 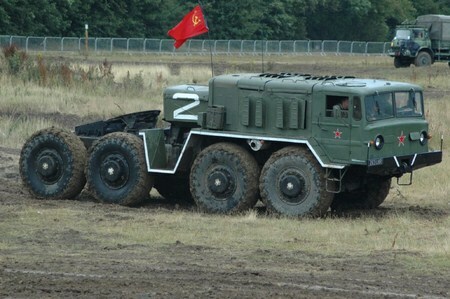 The 8-wheel Zil 135 isn’t the longest truck used by the Soviets, but it’s one of the toughest. Developed in the 1960′s and used throughout the world, including as a missile carrier in North Korea, the 135 is designed to quickly bring artillery missiles into the range of hostile targets. Two massive 6.9-liter V8′s power the truck — one for the left four wheels and one for the right four wheels. The driver’s compartment is designed to seal quickly, allowing the crew of four to launch a weapon, such as the 16-rocket BM-27, and get out of range in a matter of minutes. If you’re going to invade protect an Eastern European nation you’re going to have to contend with lakes, rivers, streams and other bodies of water. That’s where the GAZ 46 comes in handy. 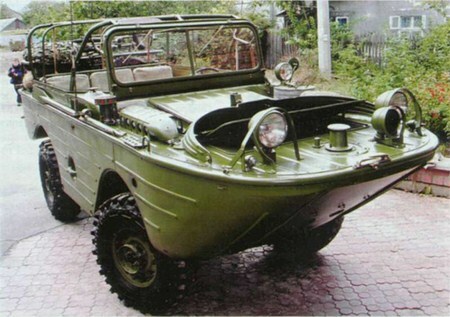 Able to speed across the country side and then toss itself headlong into the Volga, the small amphibious vehicle works as a way to transport special forces across the river or provide reconnaissance for a missile strike. 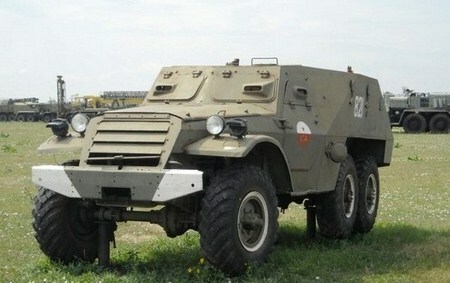 Russia’s original armored personal carrier, the BTR-152 started service in the early 1950′s and has seen use ever since. The BTR-152 is essentially a Zis truck covered with a ton of armor… actually five tons of armor. The 152′s open-top design may not be ideal for urban areas with snipers, but in open combat half a platoon can fire their guns over the armored sides and take down exposed enemies. The exposed roof also allows personnel to quickly jump out and engage targets. Though the truck has a few flaws - the radiator shields cause the engines to overheat if used, requiring the driver to slow down to a dangerous crawl - it’s still one tough son-of-a-tsarist. 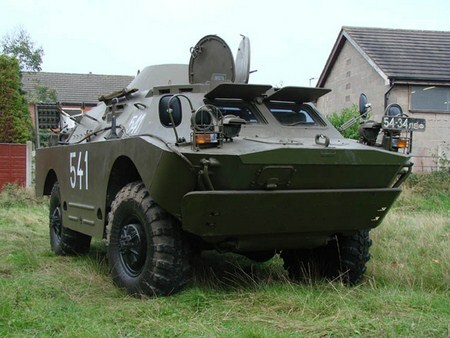 The BRDM-2 is a truly AAA vehicle: armored, amphibious and armed. This four-person armored scout is a fearsome foe, able to quickly cut-down enemy troops, vehicles and even helicopters and planes with its turret-mounted heavy machine gun. The BRDM-2 comes complete with shuttered windows for ultimate protection for the driver and commander, as well as a periscope and other visual aides that allow the truck to see the field of battle. 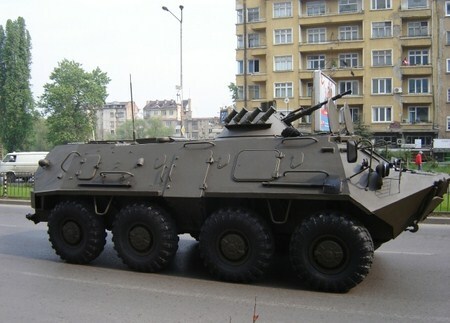 Versions of the BRDM-2 still see use, including a few used by the Bulgarians in Iraq. If the original design had one flaw it was that the crew had to exit through hatches in the front, putting the crew in the line of enemy fire (and their own machine gun). The MAZ 537 was developed in the early 1960′s as a heavy hauler and has yet to be usurped. Another 8×8, the Belarusian-built truck itself can take a 15-ton load on its own and attach a trailer that can carry 60 tons for a maximum load of 75 tons. Roads or no roads, water or ice, the MAZ can carry a tank, missile silo, scout plane… let’s just say there was very little the Russian’s could build that the truck couldn’t carry. Its forward four wheels provide hydraulically-assisted steering, giving the truck an advantage when negotiating terrain (and parallel parking). 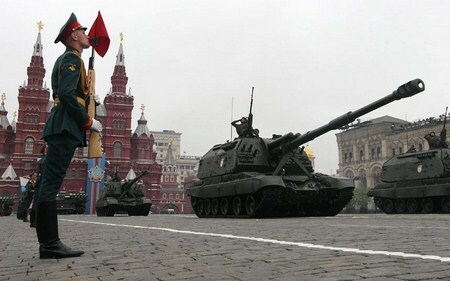 One of these with a Russian T-90S battle tank on its back is not to be trifled with. 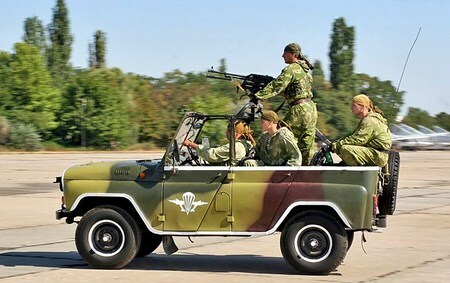 The Russian equivalent of the Jeep, the UAZ-469 is an unassuming looking vehicle that can take an outstanding amount of punishment. This 4×4 owns the Russian terrain from the banks of Lake Baikal in the east to the peaks of the Urals to the west. The 469 is great for quick strikes with a small elite unit deep in enemy territory or carrying 12 of your heavily armed friends across the countryside. Though most of Russia’s fleet of super trucks are 8×8, Russia needed something large enough and tough enough to carry a portable bridge sturdy enough to carry a tank. This explains why the 12×12 MAZ 7907 was developed. Sometimes referred to as the centipede, the rig’s 24 wheels can support a total of 100 tons, allowing its portable bridge to support any trucks in the Russian fleet. Powering all of those wheels is a 1200 horsepower turbocharged gas engine. 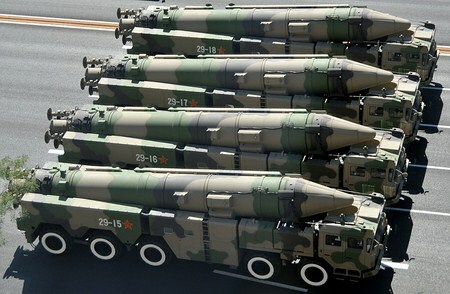 In offensive mode, the 7907 and other variants could support a rail-mobile SS-24 ICBM. The replacement for the BTR-152, the eight-wheeled BTR-60 evolved the Russian APC design from the “truck with buttloads of armor” setup to the more advanced, boat-shaped hull layout. This allowed the BTR-60 to gain full amphibious availability, a foreboding profile and significant protection from small-arms fire and shrapnel. Able to transport 14 fully-armed troops across rough waters and rough terrain, the addition of a heavy machine gun with a turret (similar in design to the BDRM-2 turret) enhances the offensive ability of this fierce transport. Though no longer used extensively as an APC, the BTR-60 still sees use as a combat operations support vehicle. This is the truck that fuels all of our nightmares of a Dr. Strangelove-esque global missile volley. 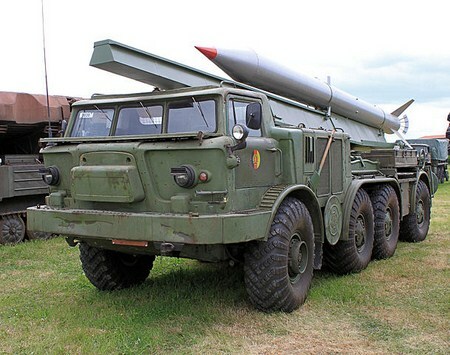 The longest truck in the Russian army, the MKZT can carry up to 80 tons into the coldest Siberian tundra, making it the perfect launching pad for a Topol ICBM. Though the threat of major nuclear warfare is lower than in the Cold War, it’s hard not to worry a little when you see that one of these beasts and a crew of four parading down the road. Though not as quick as a UAZ-469, the MKZT can rocket its rockets at a clip of about 25 mph thanks to its 700 horsepower diesel engine.